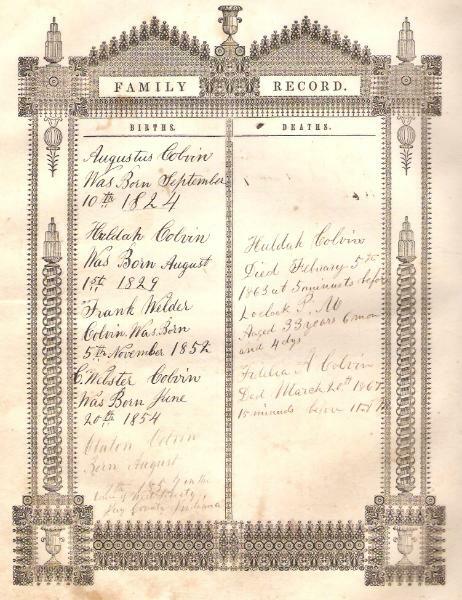 The Family Bible of Augustus and Huldah (Capwell) Colvin, of Factoryville, Pennsylvania. 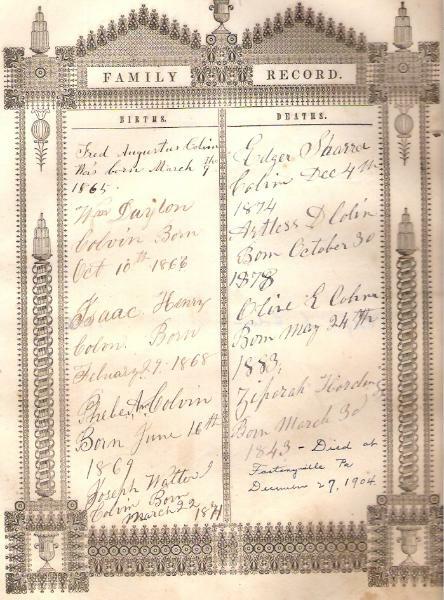 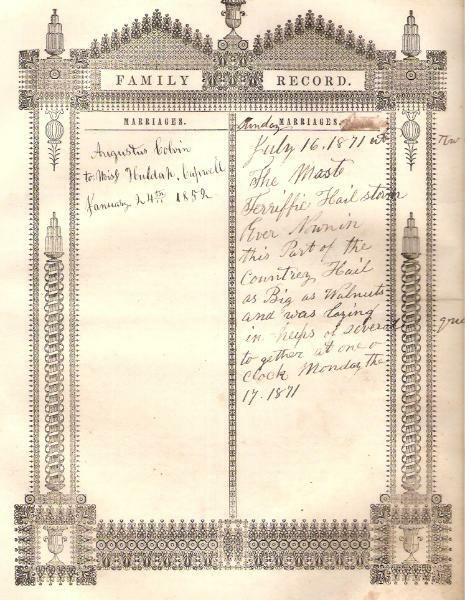 The Bible is now in the possession of the C. G. Brisee Genealogy Library,Irwin, Iowa. 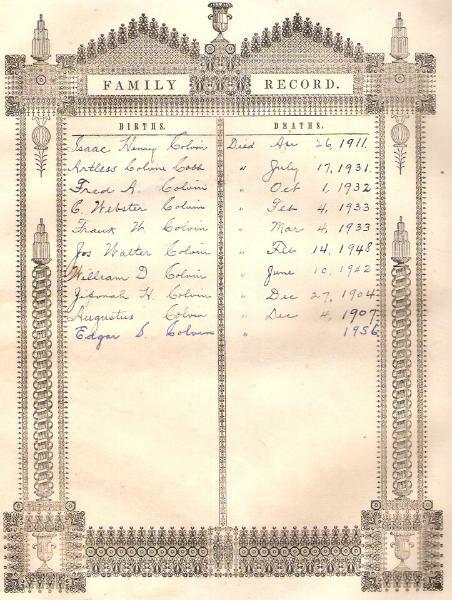 Artless Calvin Cobb [Died] July 17, 1931.